From produce stands to a juice shot to the beauty aisle, turmeric is everywhere these days. And it should be. The spectacular health benefits of this ancient root are well-researched and universally recognized—particularly for its effects on reducing inflammation. You may already be blending turmeric into your daily morning smoothie or throwing it on salmon with abandon, but as a relative newcomer to American spice racks and palates, its flavor and superpower potency can still be something of a mystery as an easy, everyday food ingredient. Which is especially important since curcumin, the powerful medicinal compound that gives turmeric its health benefits, is best consumed in food, with fat and pepper. So what exactly is turmeric—and what is it good for? Turmeric is a rhizome (underground root stem) of the leafy Curcuma longa plant. Also known as Indian saffron, turmeric has been a must-have ingredient in Indian cooking and medicine for thousands of years. Turmeric is actually indigenous to India but also cultivated in countries like Burma and Indonesia and can be found throughout the tropics, which is why it’s well-known and often found in many cuisines throughout the world but only recently making its way with such popularity to our shores. There are multiple ways to consume turmeric, making it easy to incorporate into your daily diet. You can find the distinctly yellow root as a ground-up spice, in its original whole root form, or as a sippable juice. 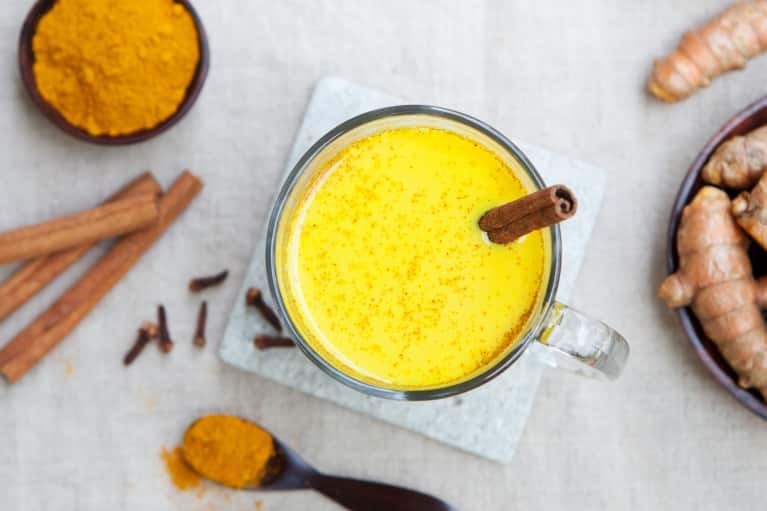 What makes turmeric such a superfood medicinal powerhouse is that it is the only readily available edible source of curcumin, a compound so rich in antioxidant and anti-inflammatory actions that it has been shown to protect every organ in the body. Filled with naturally occurring minerals like potassium, B6, vitamin C, calcium, and iron, turmeric helps purify the blood and acts as an antioxidant. In ayurveda, it’s considered to support a healthy heart, liver, lungs, and both the circulatory and nervous systems. Turmeric is best absorbed into your body if you use it combined with a bit of fat and something warming like ginger or black pepper, which makes the curcumin more bioavailable. In fact, combining it with black pepper to use in a marinade on meats enables protection from free radicals and toxins that are often produced when cooking animal products at high heat. In ayurveda, turmeric is considered tridoshic, meaning it is beneficial for everyone. Its heating quality balances kapha and vata doshas (mind-body types), and its bitter taste balances pitta. Mix turmeric into a spoonful of ghee and coat a frying pan in the mixture before you scramble your morning eggs. Don’t forget to top with freshly ground pepper. Sprinkle turmeric onto the cheese in your breakfast quesadilla. Finish with spinach, tomato, onion, and some black pepper. 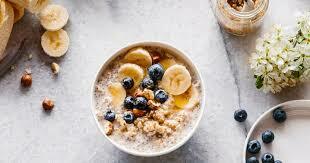 Combine oats, hemp milk (or milk of choice), turmeric, and a pinch of ginger for a golden porridge. Top with nut butter, raw honey, and cinnamon. Add a pinch of ginger and turmeric into your favorite pancake mix. Add turmeric, ginger, and a splash of hemp milk into your morning tea. Juice a knob of fresh turmeric and add to your favorite smoothie. Add a pinch of cinnamon, cardamom, and ginger for absorption and additional benefits.